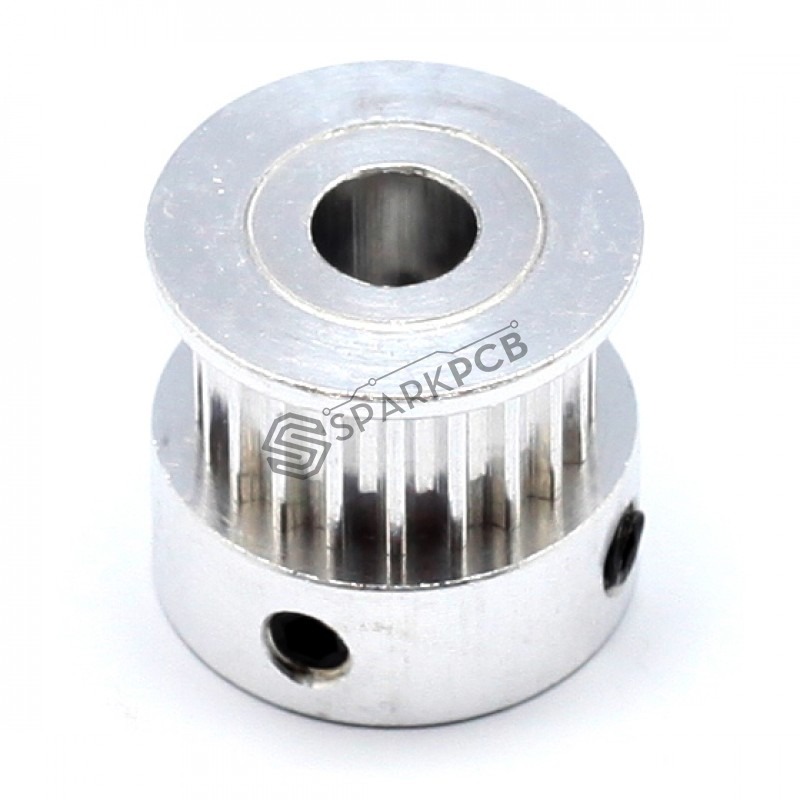 Minimum quantity for "GT2 20 Tooth 5 mm Bore Pulley for 3D Printer" is 1. This pulley has 20 teeth, and a 5mm inner bore. Two set screws can be used to attach it firmly to any 5mm diameter shaft such as one of our stepper motors. Full aluminum construction means these are very light and very durable. Compatible Belt: Width 6 mm.